Study identifies previously unknown cause of immune neuropathy. Patients suffering from so-called immune-mediated neuropathies frequently have a long medical record. As there are no diagnostic tests available to reliably diagnose the disease, the diagnosis is frequently made belatedly and patients can be misdiagnosed. Accordingly, many years often pass before an effective therapy is started. However, not all patients respond to first-choice drugs even when treated immediately. Therefore, identifying biomarkers for this disease is key to early-diagnosis and optimal treatment. Now, a study from researchers at the University of Wuerzburg identifies a new potential trigger of these neuropathies. The team state that they were able to show in patients with antibodies against Caspr, a protein involved in building the myelin sheath, the structure of the Nodes of Ranvier is destroyed and nerve function severely impaired. The study is published in the journal Brain. Previous studies show that an autoimmune process is believed to cause this neuropathy in which the immune system attacks and destroys components of the nerve fibres. However, exactly how this mechanism works is largely unknown, a fact which makes it more difficult to develop targeted drugs. In the past years, researchers from Spain and Japan have identified autoantibodies against Nodes of Ranvier proteins, such as Contactin-1 and Neurofascin-155, in patients with immune-mediated neuropathies. Caspr is also involved in building the Nodes of Ranvier, therefore, the group decided to investigate this protein. The current study shows that some patients with immune-mediated neuropathies have antibodies against the protein Caspr, which causes the destruction of the Nodes of Ranvier. The current study examined 35 patients with chronic inflammatory demyelinating polyneuropathy (CIDP), a chronic form of inflammatory nerve disorder, and 22 patients suffering from Guillain-Barré syndrome, an acute form. Results show that in one patient each with CIDP and Guillain-Barré syndrome, antibodies against the protein Caspr were detected in the blood. Data findings show that antibody production in these patients can be inhibited by the drug Rituximab which reverses the symptoms. Results show that the disease develops rapidly, causes severe paralysis and responds poorly to standard therapy, and responds excellently to Rituximab treatment. Data findings show that strong neuralgia is another typical symptom in patients with Caspr antibodies, as opposed to patients with antibodies against the two other proteins, Neurofascin-155 and Contactin-1, who typically exhibit a distinct tremor in targeted movements. The team surmise that their findings verify previous studies which show patients who have antibodies against proteins of Nodes of Ranvier exhibit characteristic features. For the future, the researchers state that their study raises hopes for identifying the cause of inflammatory neuropathies in a select subset of patients and that a simple blood test for autoantibodies could provide a targeted treatment. Nodes of Ranvier. 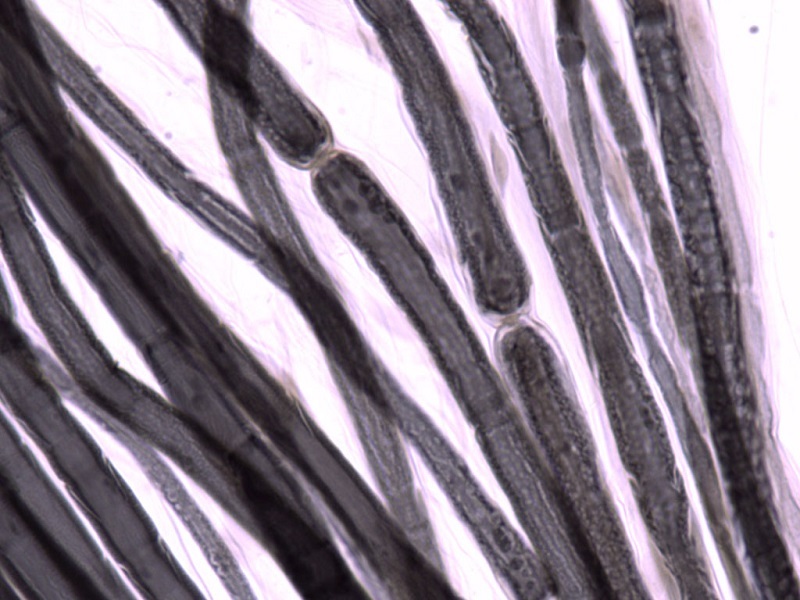 Each Schwann cell myelinates about 100 µm of an axon. Gaps between neighboring Schwann cells are called nodes of Ranvier. Action potentials jump from node to node while traversing an axon. Credit: Yale Histology.